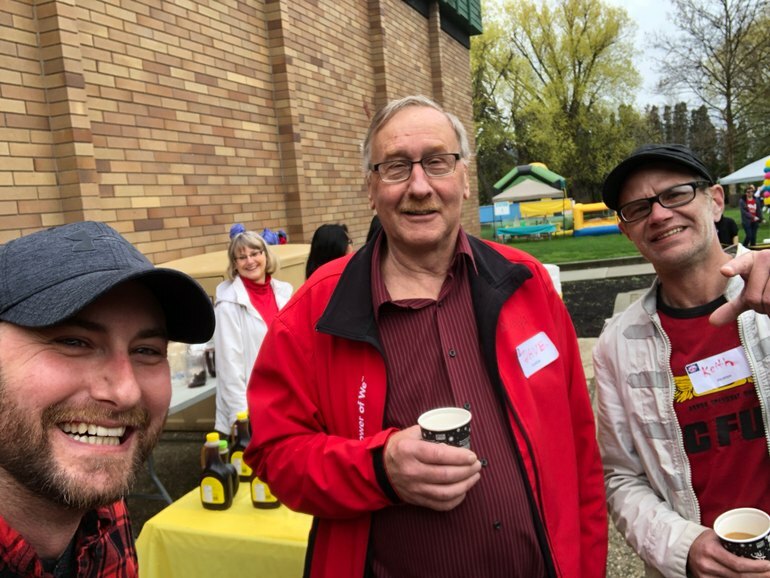 VICTORY LIFE CHURCH was started in Kelowna 30 years ago as of Sept 2019. It is our desire to show the love of God in practical and tangible ways in our community! Reaching, Teaching, Empowering people to live in every day victory with an every day Jesus. 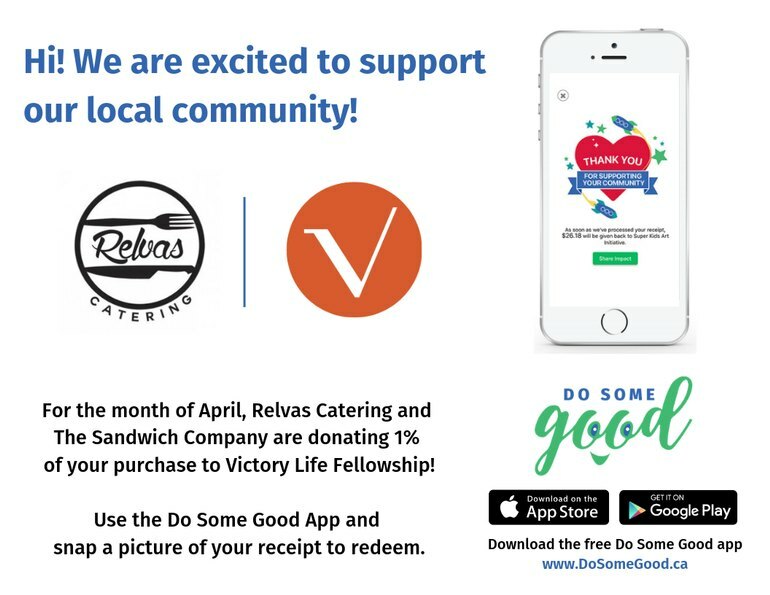 Don't forget for the month of April, Relvas Catering and The Sandwich Company will be supporting Victory Life Church! If you're in the Okanagan, check on our App to see other offers available where you shop! 16th Annual Easter Pancake Breakfast! Having some fun out volunteering on Christmas with family and friends! 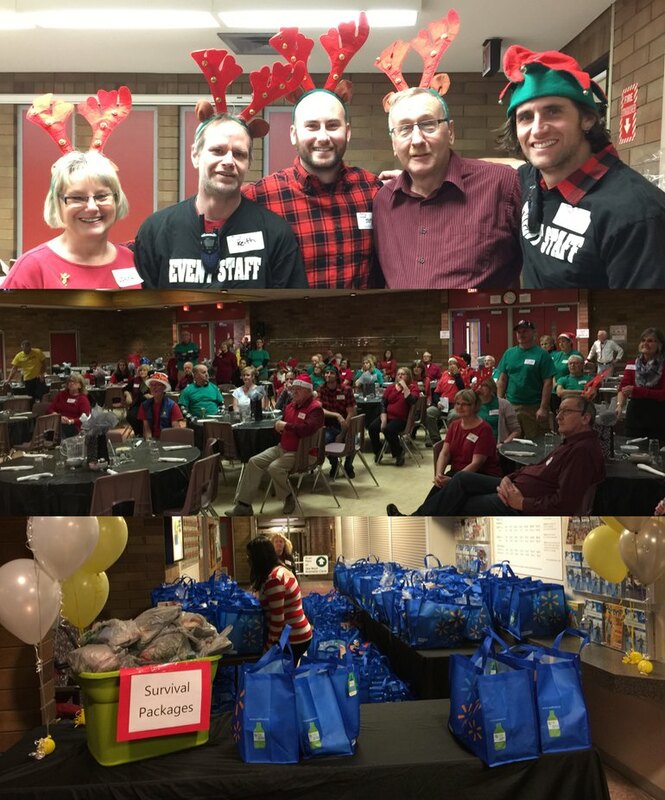 It feels great to Do Some Good during the holidays; over 100 volunteers worked with the amazingly organized and generous crew from Victory Life Fellowship to feed around 400 people on this special day. Vote now for Victory Life Fellowship by selecting an emoji below! Winning the $50,000 SimpleGenerosity grant from Valley First, a division of First West Credit Union and Enderby & District Financial, a division of First West CU would help Victory Life continue to host free community events throughout the year for families and individuals in Kelowna. 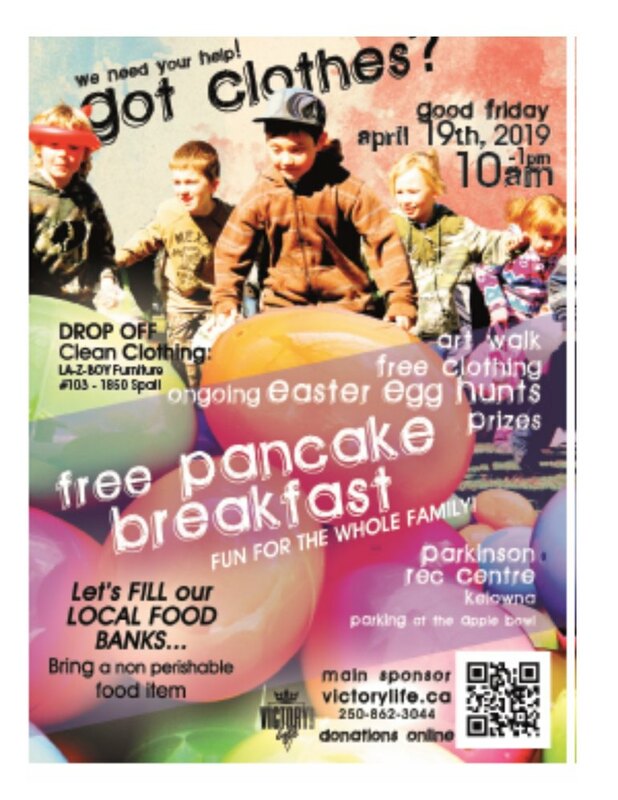 Each event has a purpose - The Easter Pancake Breakfast helps Build Community by hosting 3,400 guests to egg hunts with 15,000 candy filled eggs, providing clothing, food, gifts and entertainment. The Back to School Bash is all about Filling A Need for families who are struggling with their back to school budget. The 1,200 guests that participate receive free backpacks, clothing, haircuts for children and youth, school supplies, food and entertainment. 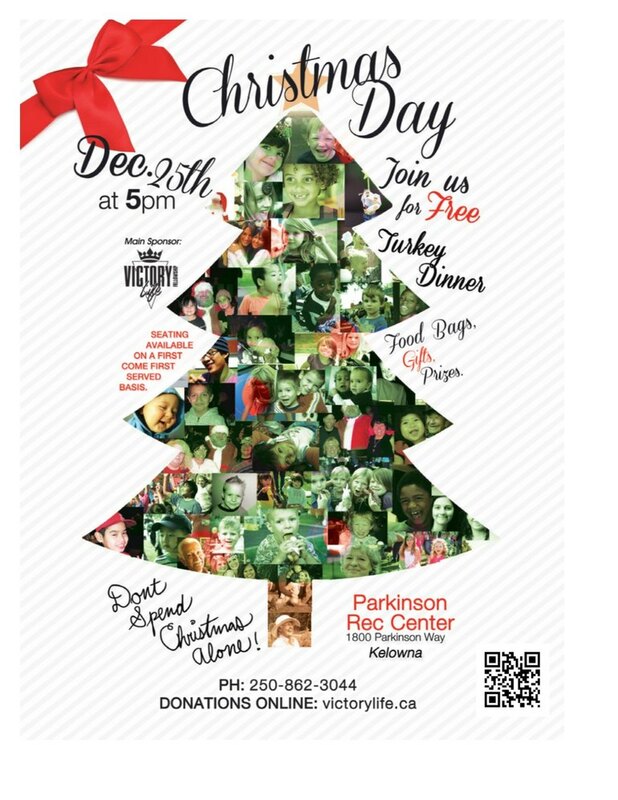 The Christmas Day Dinner helps ensure that No One Spends Christmas Alone as they know that being with others on Christmas Day is important! Guests are served a sit down turkey dinner with all the trimmings, gifts for the children, door prizes and entertainment. Victory Life knows that together we can make a difference! Thank you for helping us celebrate Canada150 and strengthening our communities with SimpleGenerosity! 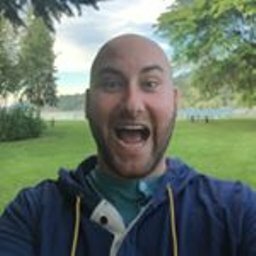 BE A PART OF BUILDING COMMUNITY! 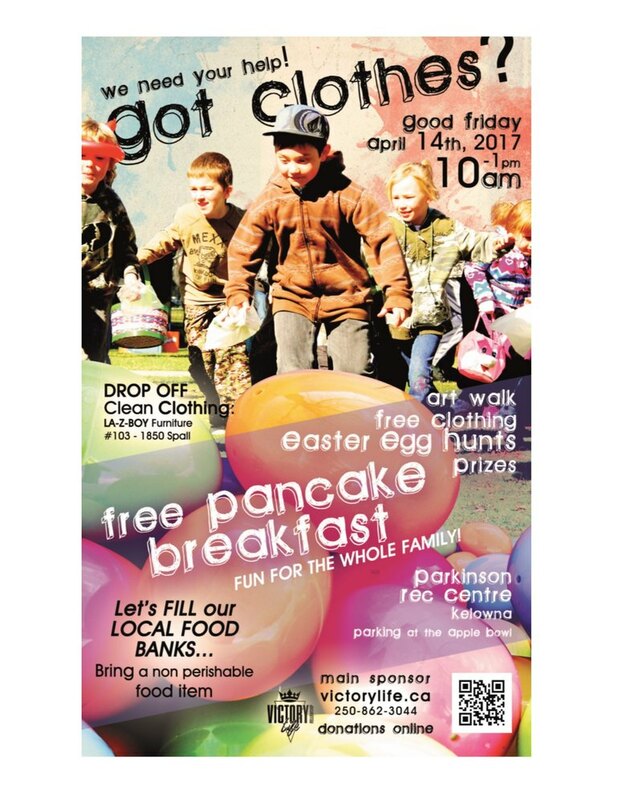 VICTORY LIFE"S 14th Annual EASTER PANCAKE BREAKFAST! And don't forget to check out last year's Easter Pancake Breakfast video. It was great spending Christmas volunteering with my family! We helped feed 400+ people from our community and gave out 200 bags of groceries to those in need. It was an awesome night volunteering alongside so many great people. 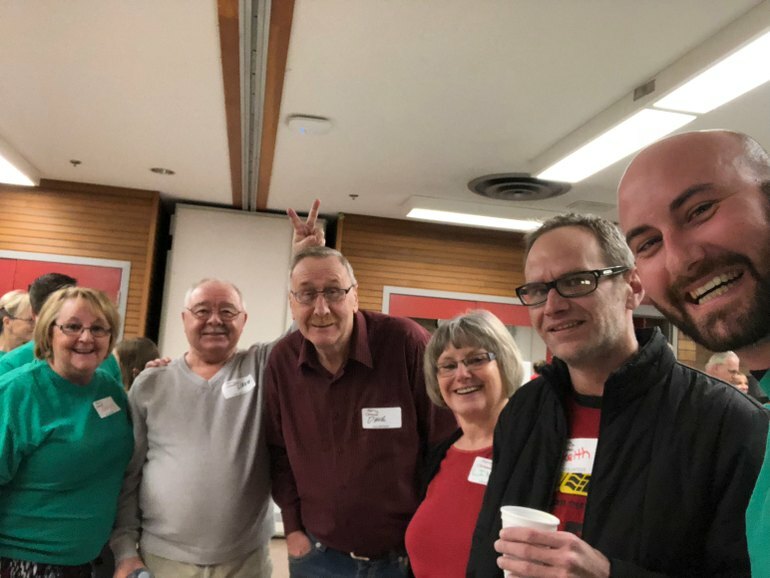 A huge thanks to the Victory Life Fellowship who were very well organized and made sure the volunteers had clear roles, proper support and got to enjoy a great meal together. NO ONE SHOULD SPEND CHRISTMAS ALONE!